Editor’s note: Heather Gautney is an associate professor of sociology at Fordham University. The views expressed are her own. This past month, our nation’s caregivers got something of a pay increase. The U.S. Department of Labor passed a rule requiring that wage and overtime benefits under the Fair Labor Standards Act be extended to direct care workers. Some two million home care attendants, many of whom have been surviving on public assistance and poverty-level wages, will finally, as of 2015, be covered by basic minimum wage and overtime protections. Yet this is a depressing contrast with the almost exponential pay curve of our country’s CEOs. Over a little more than three decades, CEO compensation has increased some 875 percent – more than double the country's stock market growth over that same period – while the real wages of the average U.S. worker have actually declined, according to the Economic Policy Institute. In 1965, corporate executives made twenty times more than the average worker. By 2012, they made over 354 times. The same year, home care attendants made just over $20,000 per year, according to Think Progress. Not even a living wage. 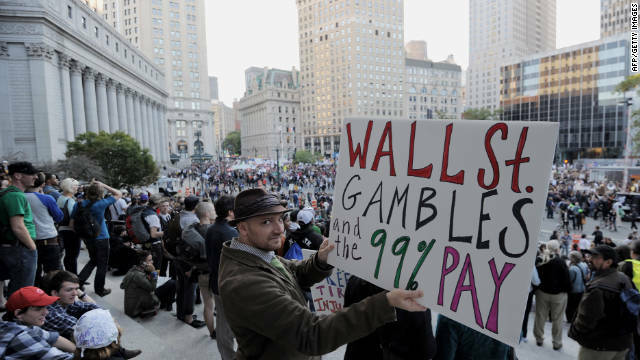 Has Occupy Wall Street reined in CEO bonuses? No. 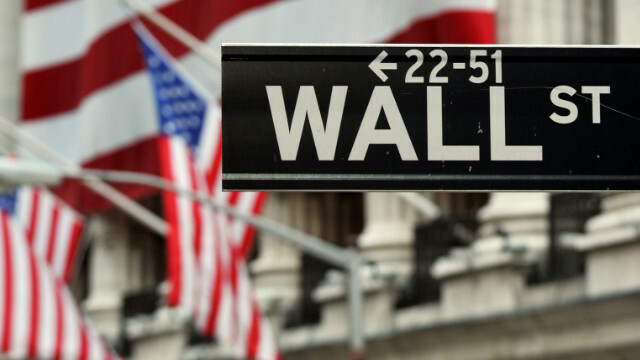 Wall Street executive bonuses are expected to be down by about a quarter this season. After two months of occupying Wall Street, can the 99% take credit for reining in the excesses of corporate America? In a word: No. Editor's Note: Dr. Heather Gautney is an assistant professor of sociology at Fordham University, supporter of Occupy Wall Street and author of Protest and Organization in the Alternative Globalization Era (Palgrave Macmillan). The views expressed in this article are solely those of Heather Gautney. But what is this idea? And what does it indicate about the future of the movement? Occupy’s big idea is that today’s capitalist system has become utterly incompatible with the requisites of democratic freedom. Occupiers assert that the time has come for everyday people to repossess their common wealth and the grassroots forms of democracy that accompany it. 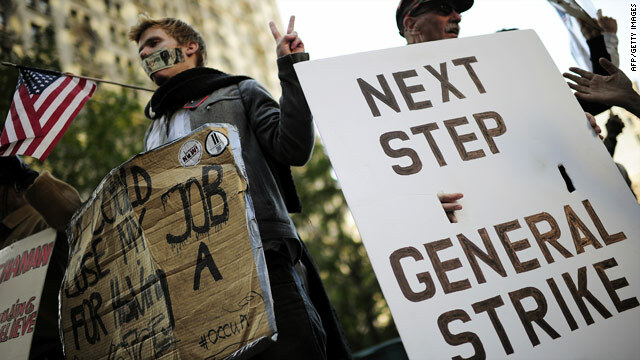 What's next for Occupy Wall Street? Before 1am Tuesday morning, Zuccotti Park was a sea of tents. Over the course of nearly 2 months, the Occupy Wall Street protesters had developed a fairly sophisticated community in the heart of New York City with a library, a convenience store, a first aid tent, and a kitchen at the center of the park that served free food throughout the day. But according to Mayor Bloomberg and many disgruntled neighbors, the birthplace of Occupy Wall Street was a nuisance and a public health hazard. So early Tuesday morning, police in riot gear stormed the park and evicted the Occupiers. Similar shutdowns have occurred across America in recent weeks: Oakland, Portland, Burlington, Denver, Salt Lake City, St. Louis and others. Spending time down in OWS, we asked many people who to talk to for a smart take on the movement, and Hero Vincent’s name came up many times. Hero came up to NYC from North Carolina on September 17, the first day of the protests. He has been camping out in Zuccotti Park for nearly two months, during which time he was arrested for misdemeanors by the city police on multiple occasions. We brought Hero into the CNN studios just minutes after the New York Supreme Court decided not to allow the OWS protesters to re-establish camp in Zuccotti Park. Mayor Bloomberg said: "Protesters have had two months to occupy the park with tents and sleeping bags. Now they will have to occupy the space with the power of their arguments." But just how essential is a physical space to the success of Occupy Wall Street? 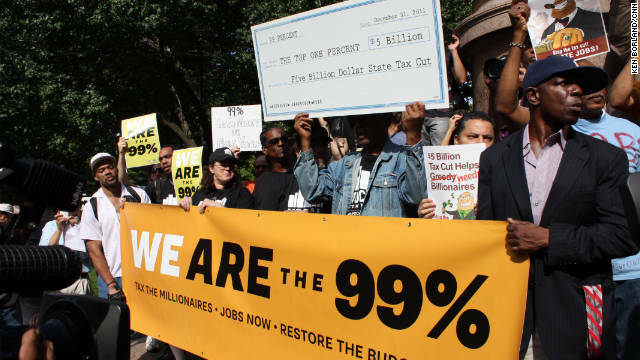 Does Occupy Wall Street seek to become a political force like the Tea Party? And what do young people like Hero think of President Obama’s promise of change? We put these questions to Hero in the video above. Let us know what you think in the comments section below. Occupy Wall Street and its allied movements around the country are more than a walk in the park. They are most likely the start of a new era in America. Historians have noted that American politics moves in long swings. We are at the end of the 30-year Reagan era, a period that has culminated in soaring income for the top 1 percent and crushing unemployment or income stagnation for much of the rest. The overarching challenge of the coming years is to restore prosperity and power for the 99 percent. Editor's Note: William H. Frey is a senior fellow at the Metropolitan Policy Program at the Brookings Institution. He specializes in national security and defense policy and is senior author of the Iraq, Afghanistan, and Pakistan Index projects. The views expressed in this article are solely those of William H. Frey. The Occupy Wall Street crowd is seemingly ubiquitous across much of America. But it is not surprising that these groups, mostly made up of young adults, are congregating in cities known to be friendly to twenty- and thirtysomethings as confirmed by new Census data on migration. Previously data showed that rates of migration declined as the recession began and places that grew the most during the fat part of last decade - both states and metropolitan areas - saw those gains begin to evaporate. But the American Community Survey’s new data for the years 2008 through 2010, inclusive, provides the first clear glimpse of migration gainers and losers during the Great Recession and permits a comparison with the three previous economically supercharged years. It also allows for a clean “before and after” comparison of destinations for young adults, whose preferences may differ from movers in general. Although the Occupy Wall Street movement began in America, its reach is expanding globally. Editor's Note: Christopher Alessi is an associate staff writer at CFR.org. This is an Analysis Brief, reprinted with the permission of the Council on Foreign Relations. The Occupy Wall Street protests that began in New York City a month ago gained worldwide momentum (CBS/AP) over the weekend, as hundreds of thousands of demonstrators in nine hundred cities protested corporate greed and wealth inequality. Protesters from London to Sydney echoed the anti-capitalist, populist rhetoric of the Occupy movement in what was deemed a "global day of protest" (TIME). With the Occupy Wall Street protests gaining steam in the U.S., it seems obvious to link the movement with the other grassroots movement that recently shook up American politics: the Tea Party. President Barack Obama did it this morning, telling ABC that the protesters in downtown New York are "not that different" from the Tea Party: both the right and the left feel "that their institutions aren't looking out for them." My colleagues' pieces number among a flurry of others pondering the parallel. Michael Scherer recast Occupy Wall Street as the Tea Party of the American left. Roya Wolverson suggested how the two movements, coming from diametrically opposed sides of the political spectrum, could find common ground (and perhaps policy influence) in their mutual distaste for a Washington dominated by the vested interests of corporations. But while the similarities are noteworthy, they obscure more relevant truths about Occupy Wall Street, the supposedly inchoate movement that has transfixed the American media in recent weeks. I enumerate these truths after the jump.